2015 Topps Gypsy Queen ($105 per box) arrives Wednesday at The Super Hit Factory for a waiting faithful group of baseball collectors. 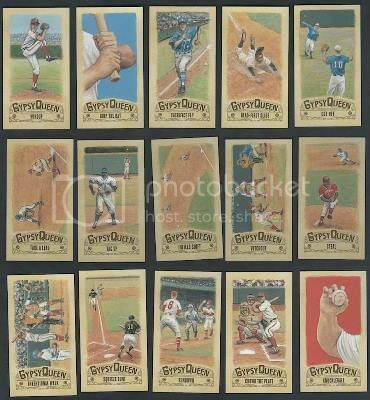 The Gypsy Queen base set consists of 300 cards with 50 short-prints found one in every four packs. There are 50 image variations for collectors to chase. There are three types of parallel sets for 100 cards - Paper Framed cards, 1/1 Black Paper Framed cards and 1/1 printing plates. Mini Parallels return this year and are found one per pack with short-printed minis found one per box. There are five parallels for minis - Silver, Red, Black #d/5, and 1/1 Graphite. And, of course there are the printing plate 1/1s. Exclusive to the box topper boxes there are 100 different mini variations. New in this year's Gypsy Queen is the "Basics of Baseball" insert set which includes a parallel mini 1/1 sketch card version. Autographs are found in three different insert sets. The Black mini autographs are exclusive to the box topper box and are limited to 10 copies each. 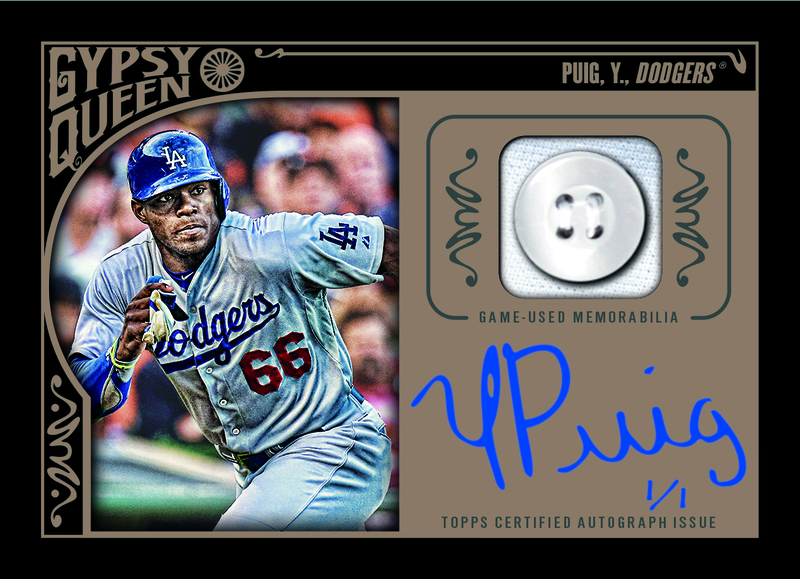 Autographed Relics come in four parallels including the 1/1 Black Button cards. 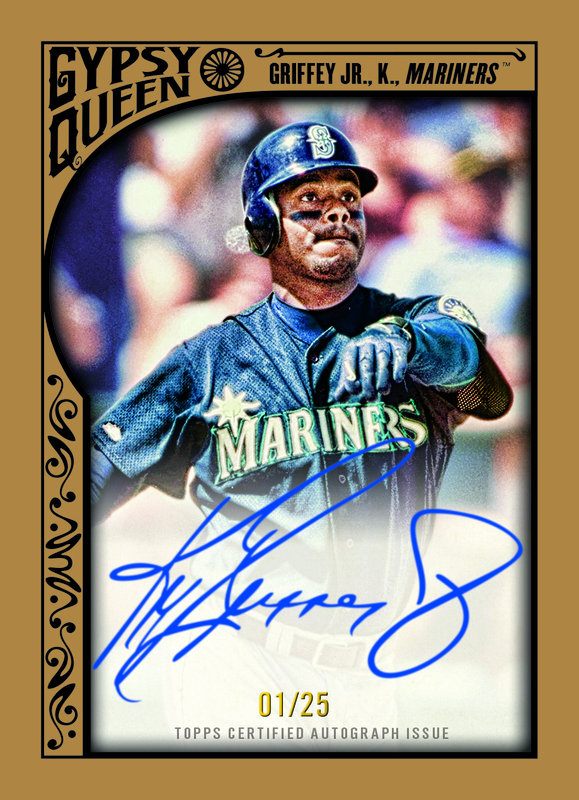 2015 Topps Gypsy Queen in a fun product to bust and a challenge for the set collector. Gypsy Queen has always been a favorite with Sports Cards Plus baseball collectors and this year should be no different.